Need professional brochure printing in Minnesota? Go ahead and think of us as your marketing partner, committed to producing brochures that reinforce your brand. Have you seen something done that really caught your eye? 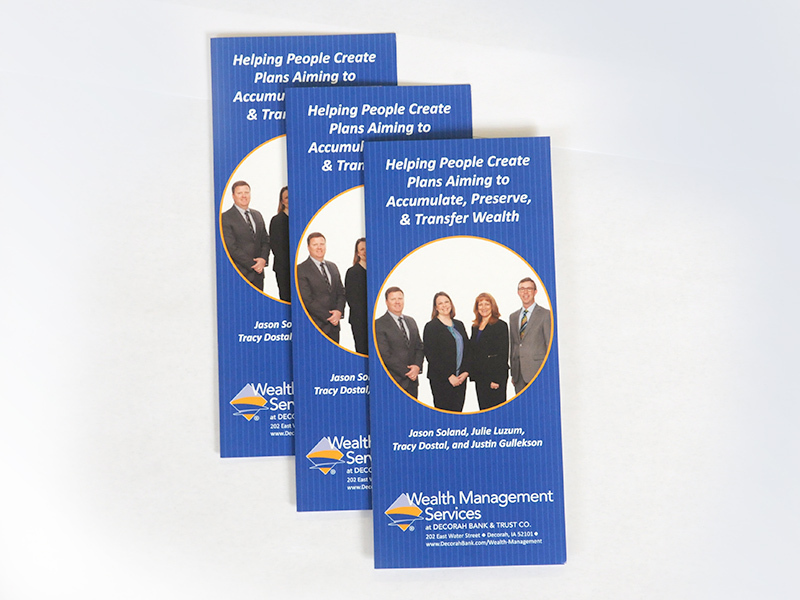 We can cut and fold brochures to create a unique first impression and engage the reader. Let’s boost your sales or peak member interest with your next printed brochure. Banks and commercial lending industries are tasks to keep customers abreast of opportunities and keep business customers focused on growth. Having comprehensive information to hand to customers at key moments is imperative. 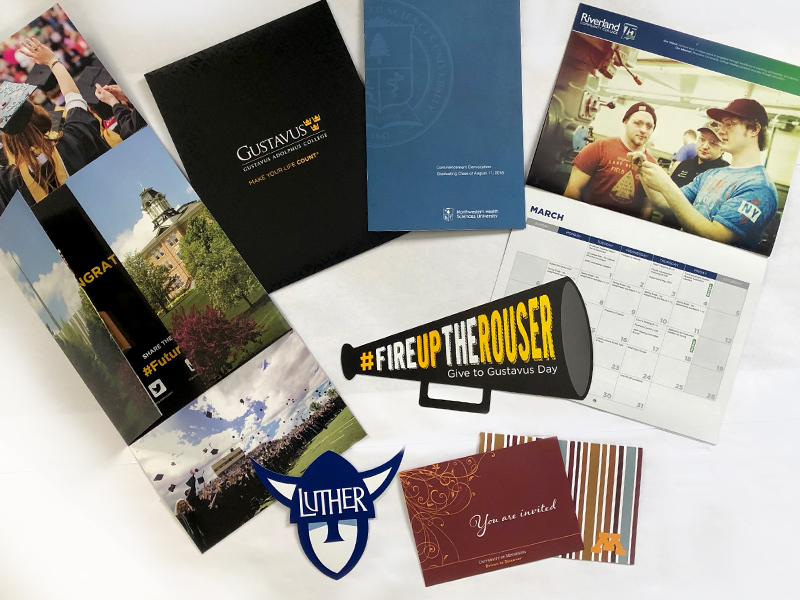 Creative is the name of the game with many colleges and universities today, as they rely on brochures and mailers to communicate with new recruits, students, faculty, parents, and alumni. Colleges have an innate sense of what people need to see and a wealth of information to communicate. Take a look at the four fold brochure done for a university. 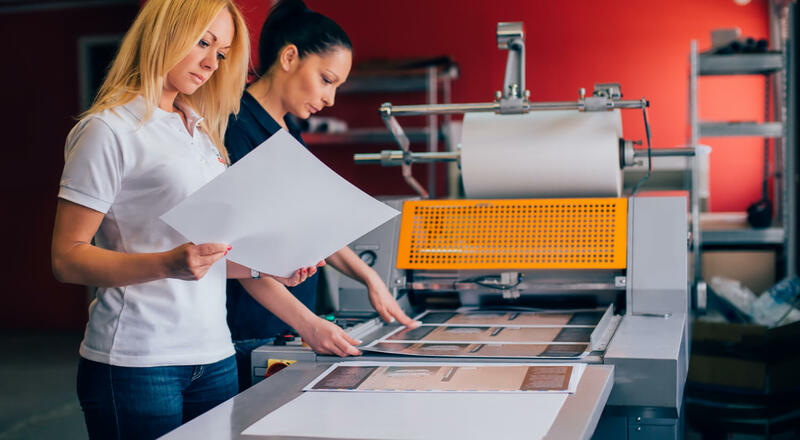 Ready to get started with your brochure printing project? Contact us today.